Click The Link Below To Make A Change NOW! Proven, Tested, And Repeatable System! 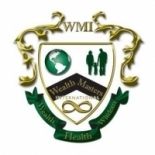 WealthMasters International in Salt Lake City is a company that specializes in Computer Related Services, Nec. Our records show it was established in Utah.